When you have a delivery or service business to manage including vehicles and employees it’s not easy to know what’s happening out in the field. You can check in to your fleet Live Tracking system to see where your vehicles are and run reports of their use, but often it’s important to know when problems are occurring so you can fix them before they become major issues. These issues either being vehicle engine problems, driver use / misuse of your vehicle or when your vehicle is being moved (with or without your authorisation). For example, if one of your vehicle has been burning through fuel – at a rate much higher than your other vehicles of the same (or similar type and size) you can choose to get notified if and when that vehicle is displaying problems again (say after a vehicle service / repair to fix the issue). Or you just want to know if your vehicle or machinery has been started (ignition on). So how can you set notifications using your vehicle tracking device? 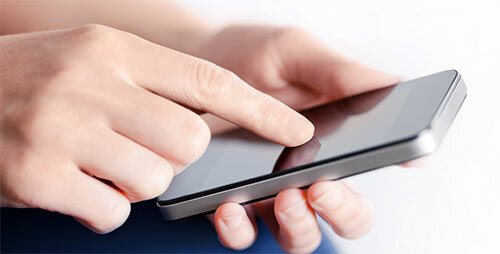 These are alerts once set up become automatic and are sent to your mobile phone or to your email address WHEN something goes wrong or something important happens. Of course, besides setting these alerts – you can turn them off and on whenever you need them. fleetminder, an Australian fleet management and vehicle tracking device vendor provides a range of useful alert functions including General, Engine Management, Geofence and Ignition alerts. Below are the four Alert types available using the fleetminder Live Tracking system. A whole range of engine parameters can be monitored to help you to manage the “health” of your truck or other vehicle including: RPM, fuel loss or high fuel usage, engine overheating, a “heavy” foot on the accelerator, long drive times without stopping for rests, and the check engine indicator. 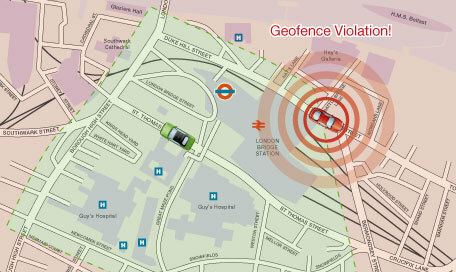 A geofence is a perimeter set around your vehicle. For example, 250 metres. If your vehicle is moved 250 metres in any direction from the geofence set point, you will receive a Geofence Alert via email or SMS text (whichever you set in the system). This alert let’s you know that the vehicle (or machinery) has been started. Useful if you want to know when someone has begun work or if someone is potentially STEALING your vehicle !!! Being a busy fleet operator usually doesn’t afford you the time to monitor your vehicles 24/7 – but with automated alerts you can have better control over your fleet operations.